Martinborough has more than 20 cellar doors, each with their own style. Most are located within easy walking or cycling distance of the village square, making it a popular spot to visit. When it comes to delicious wines, there's so much of the good stuff to discover. 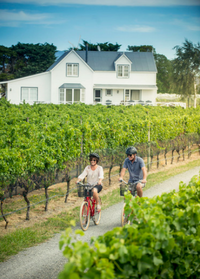 Check out our friendly pointers below to enjoy Martinborough responsibly and have fun in our much-loved wine village. Unsure where to start? Want lunch and a glass of wine? These vineyards have food on offer as well as the tasty drops your heart desires. Just be sure to make a booking. Want a tasting of premium wines in an intimate setting? These cellar doors may be right up your alley. They tend to be small though, so fitting in groups of six or more can be tricky. If that’s you, best to give them a call to check. In this neck of the woods, it’s casual but classy. Please don’t pre-load and don't come here to get hammered. It’s all about wine tasting, not hitting the turps. Enjoy sampling our pinots or savouring a sav, just don’t get sloshed. Just like at your favourite local bar, the same laws apply here when it comes to consuming alcohol; you can't be served alcohol at cellar doors if you’ve had enough already. The boutique scale of our vineyards is what makes us special. Here, you’ll find small businesses run by locals who love what they do. This means cellar doors can be compact operations, so if you’re in a group, you do need to book ahead. 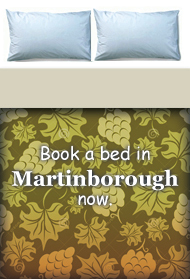 Download a Wine map and Visitor Guide or pick-up one from the Martinborough i-SITE Visitor Centre. You can also hire a bike for a relaxed ride around the vineyards. 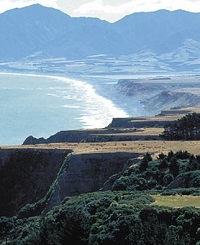 Learn here how you can get to Martinborough by car, train or shuttle for a great day trip. We've got lots of great accommodation you can book right here. 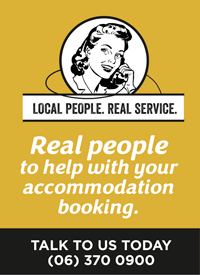 Or call our super helpful i-SITE Visitor Information team who can book for you!